Originally posted at Smash Cut Culture. The Internet clearly doesn’t have enough lists, so here’s another. 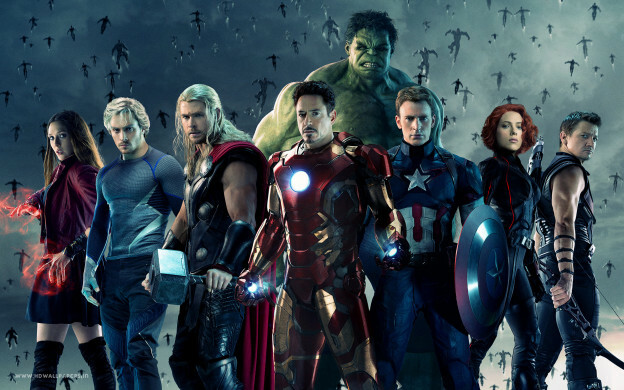 Many have attempted to rank the movies comprising the Marvel Cinematic Universe. Fewer have dared to add the four complete seasons of MCU television and Netflix series into the equation. I shall somehow rise to this challenge to ensure the Internet does not experience a shortage of lists. This was not easy, Internet. I swear, the top six were all neck-and-neck, and it came down to a photo-finish. This ranking is from worst to best, not horrible to great. I’ve enjoyed all of these to varying extents, and the “varying” is what I’m measuring. None are bad. Conversely, none are works of towering artistic genius either. But it’s all damn fine entertainment worth revisiting. This entry was posted in columns, comic books on October 29, 2015 by drsherrier. Avenging the Fantastic, Part 8: Enter the Black Panther! Fantastic Four #52-55; Thor #131-140; Tales to Astonish (starring the Hulk) #80-91; Strange Tales (starring Nick Fury & SHIELD) #146-149; Tales of Suspense (starring Iron Man and Captain America) #79-88; The Avengers #30-35; years: 1966-67. Captain America’s arch-foe the Red Skull arrives in the modern era (relative to World War II, anyway) in Tales of Suspense #79, and the story also introduces the Cosmic Cube—known to Marvel Cinematic Universe viewers as the Tesseract. Marvel gets its first black superhero, the Black Panther, ruler of the African nation Wakanda, in Fantastic Four #52, and the next issue introduces his foe, Ulysses Klaw, who was seen in Avengers: Age of Ultron. The super-metal vibranium also debuts. Sif is reintroduced as a skilled warrior, more along the lines of her movie counterpart (though comics Sif is Heimdall’s little sister), in Thor #136. Future superhero (and future Goliath) Bill Foster first appears as Hank Pym’s lab assistant in Avengers #32. The Abomination, the monstrous villain of The Incredible Hulk movie, gets his first exposure of gamma radiation in Tales to Astonish #90. And several other recurring villains debut in this group of issues: the Super-Adaptoid, the Serpent Society, Ego the Living Planet, and the Living Laser, as well as neither-villain-nor-hero the High Evolutionary. We also experience the first crossover between titles, as Iron Man’s battle against the Sub-Mariner directly continues from Tales of Suspense #80 into Tales to Astonish #82. And thus a trend began, one that has never ended to this very day. This entry was posted in Avenging the Fantastic, comic books on October 1, 2015 by drsherrier.